Green Ruched Surplice Top Only $12.99! 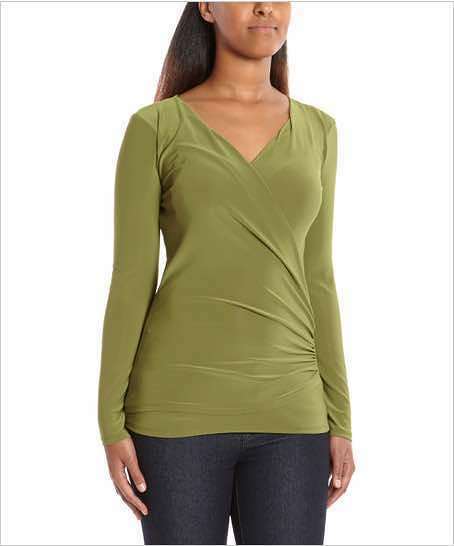 You are here: Home / Great Deals / Green Ruched Surplice Top Only $12.99! This great top was originally $50! This Green Ruched Surplice Top for Only $12.99 by StellaMax has a wonderful slimming effect that will flatter your curves!